… out of the top ten million sites that is. So there’s at least that many, quite likely a few more. This is according to w3techs who runs checks daily. Over the last few months, there have been about 50,000 new sites per month switching it on. 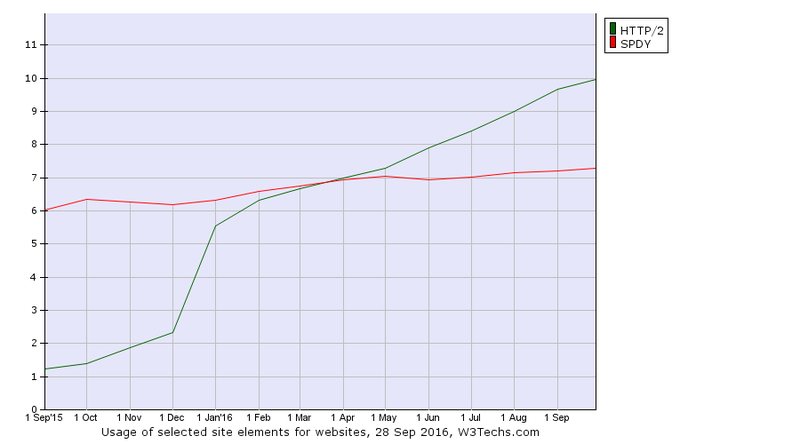 It also shows that the HTTP/2 ratio has increased from a little over 1% deployment a year ago to the 10% today. HTTP/2 gets more used the more popular site it is. 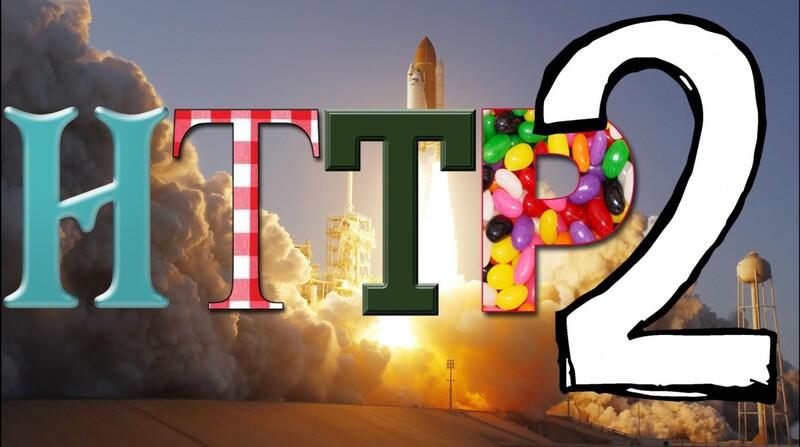 Among the top 1,000 sites on the web, more than 20% of them use HTTP/2. HTTP/2 also just recently (September 9) overcame SPDY among the top-1000 most popular sites. On September 7, Amazon announced their CloudFront service having enabled HTTP/2, which could explain an adoption boost over the last few days. New CloudFront users get it enabled by default but existing users actually need to go in and click a checkbox to make it happen. As the web traffic of the world is severely skewed toward the top ones, we can be sure that a significantly larger share than 10% of the world’s HTTPS traffic is using version 2. Recent usage stats in Firefox shows that HTTP/2 is used in half of all its HTTPS requests!